NEW Price Open Sun 1-3 Amazing find sits high & back on a 1/3 acre lot w a Lush forested backdrop for privacy. 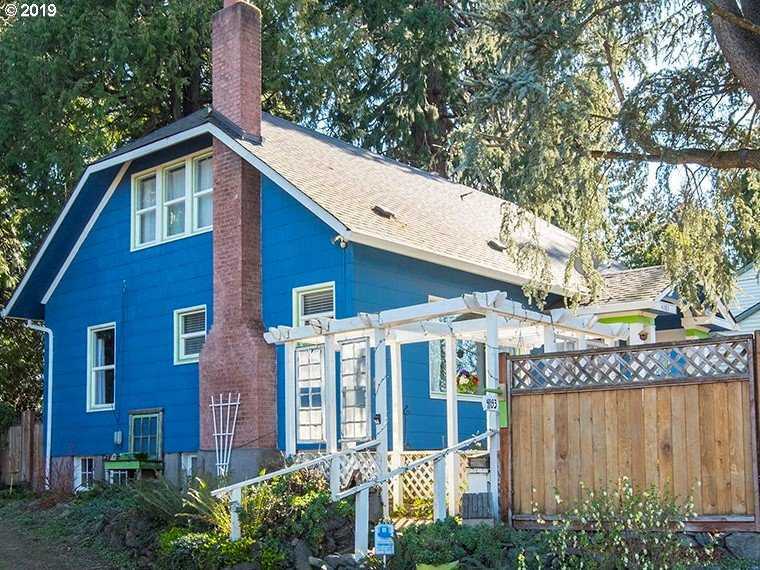 1925 charm & character with wood floors, frplc, orig built-ins, tall ceilings, open light filled kitchen. Master suite on main with 2 more beds, 1 bath up. Partial fin basement w fam room, nonconform 4th bed & shop area. Gas fired radiant heat, newer dbl pane windows & roof. Huge backyard.Homage to Joanna Gaines! Please, send me more information on this property: MLS# 19347663 – $525,000 – 4183 Se Ginny Ln, Milwaukie, OR 97267.